In January of this year my book, Living Beyond My Circumstances, was released. It was exciting to see years of hard work finally in print. It was so cool to have physical copies; there were many mornings when I would check the boxes in the office to see if the books were real. One day it hit me: I am a real author! This April was crazy and busy. We had a book launch in London and one in Huntsville three weeks later. To my delight, many people came out to the launches. If you were able to be there, I would like to thank you. Book launches take some planning. Where should I hold it? Who will speak? Any event is better with punch and cake—but no event can be successful without guests. Each event was unique; London was like a great reunion. People were there from over the years, including my Grade 8 principal. Huntsville was special as well. Between the two launches, over 200 people came out. This still blows my mind. Steph was able to be at both and that was very special for me. As exciting as it is to have a book to sell, it is even more thrilling to see what God is doing in the lives of others. “The steps of a man are established by the Lord, when he delights in his way” (Psalm 37:23). 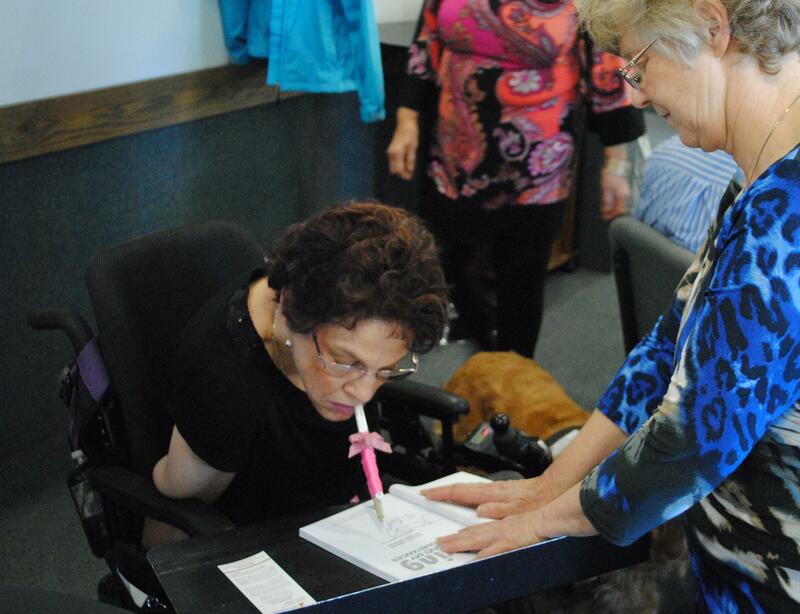 Signing a book at the Huntsville launch.